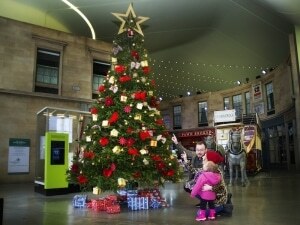 Two of Glasgow City Council’s partners in the Autism Friendly City Centre project are ensuring that this Christmas is a time to be enjoyed by all! Both the Riverside Museum and St Enoch Centre are highlighting their commitment to creating an inclusive, family friendly experience for people with autism and their families and giving a taste of things to come following our official launch in April. Details below. The Riverside museum invite you to join in our Christmas fun this December, from free children’s fairground rides, to markets on our old street and the arrival of a famous Batmobile! We want this special time of year to be enjoyed by everyone. We will be opening early for children and young people who prefer a calmer, less crowded environment. Children can try out the rides, see the Batmobile and explore the whole museum. The Riverside Museum comfort zone will be available as a quiet space. Our neighbour the Tall Ship will be offering a quiet hour. For younger members of the family, the sound of sleigh bells at St. Enoch Centre can only mean one thing… Santa has arrived in Glasgow to take up residence in his magical Christmas Grotto. 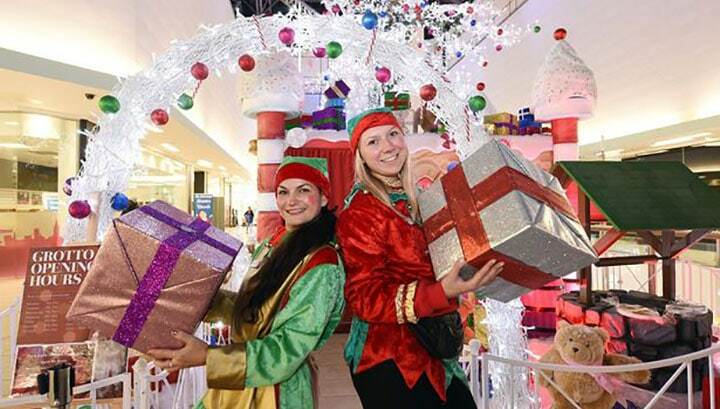 Located outside Debenhams on the first floor of the mall, Santa’s Grotto officially opens on the weekend of the 11th and 12th of November and will be open daily from Thursday 16th November right through until Christmas Eve. A visit to the Grotto costs £5.00 and every little guest will receive a special Christmas gift from Santa in person. The Grotto will also be running selected quiet hour slots this year, designed for customers with autism who want to visit Santa. These slots can be booked by calling the Customer Services Desk on 0141 204 3900. Please note that only Quiet Hour slots can be booked using this number. GLASGOW CITY CENTRE BECOMES THE BIG APPLE! Glasgow Film Office (GFO) is the film commission for Glasgow, the centre of the film and television production industry in Scotland. Since 1997, GFO has been assisting productions shooting on location in the city, activity which has contributed over £250 million to the city’s economy over the last 20 years. GFO’s two main functions are to market Glasgow as an attractive and viable production base both nationally and internationally and to provide a coordinated and efficient production liaison service. GFO works closely with council departments, Police Scotland and production crews to ensure that all filming activity occurs with the minimum impact on the everyday life of citizens and businesses of Glasgow while delivering the maximum economic impact to the city. 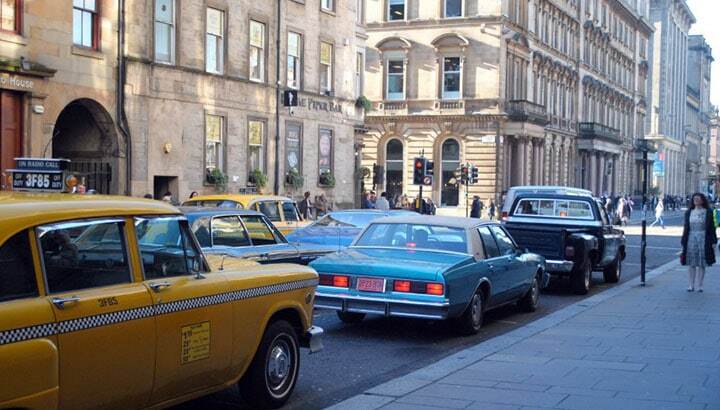 The service is provided free of charge to all productions shooting in Glasgow. Glasgow’s distinctive Victorian architecture and grid system have proved attractive to many productions over the years. The layout of the streets, particularly in the city centre of Glasgow, does, in essence, mimic the grid system in a lot of the major US cities. Glasgow has shown incredible versatility in its ability to double as a location. New York in The House of Mirth, Florence Foster Jenkins and, most recently, the upcoming Sky Atlantic drama, Patrick Melrose, featuring Benedict Cumberbatch. All pictures are from the recent filming of Patrick Melrose, featuring Benedict Cumberbatch. 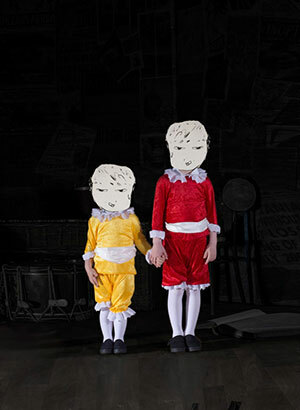 In their latest delivery of surprising, humouring and imaginative outdoor performances, Mischief La-Bas brings you Nursery Crymes, a nocturnal, site-specific promenade performance exploring the dark themes behind children’s rhymes and stories. 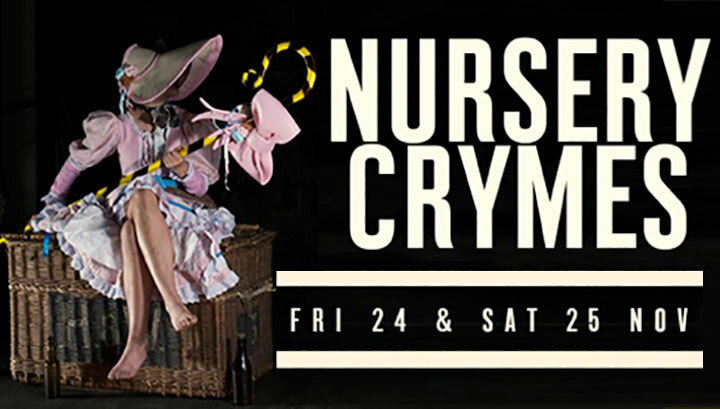 Set around Parnie Street and the Britannica Panopticon Music Hall, Nursery Crymes brings in some of the country’s most exciting artists of different disciplines to create a series of encounters, installations and performances that probe the sinister side of nursery rhymes. Hidden behind the hustle and bustle of Argyle Street, Parnie Street and surrounding Trongate has developed its own niche identity as a hub for independent artist galleries, vintage clothes shops and original cafes. The creative atmosphere of the area makes it the perfect setting for Nursery Crymes dark and unexpected take on some beloved childhood characters. You can find out more about the experience, which takes place on Friday 24th and Saturday 25th November, on www.mischieflabas.co.uk. Tickets are available through the Tron Theatre Box Office www.tron.co.uk or 0141 552 4267.